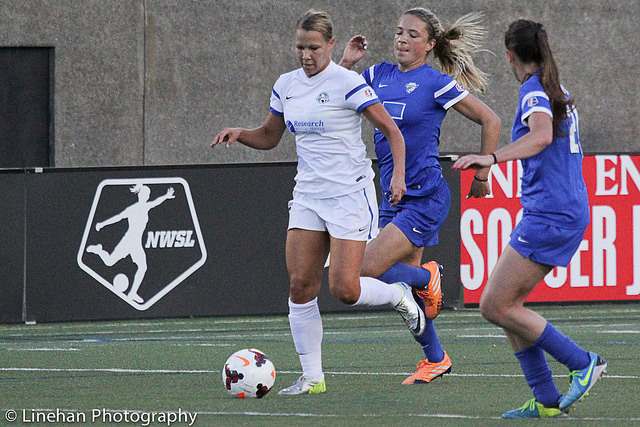 Seattle Reign FC need not change much from 2014. 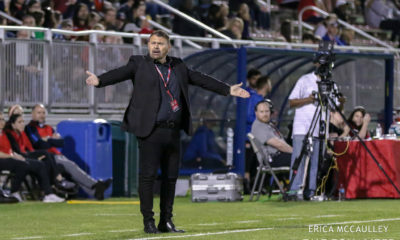 The team started the season on an NWSL record 16-game unbeaten streak, winning the NWSL Shield and coming just short of a championship in the final. This came a year after a very different Reign team finished second from bottom in 2013, losing two-thirds of matches played. So the 2013 season brought a complete overhaul. But after such a successful season in 2014, there is far less need for change. 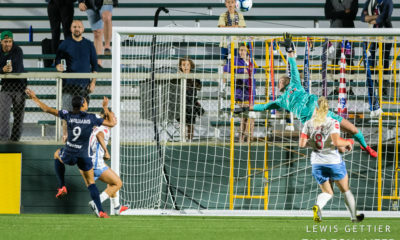 Still, head coach and general manager Laura Harvey made one on Wednesday, trading defender Kate Deines and two 2015 draft picks to FC Kansas City in exchange for the rights to midfielder Merritt Mathias, who has agreed to terms on a contract with Seattle. FC Kansas City will get the a second-round (No. 16 overall) and third-round (No. 26 overall) draft pick in the 2015 NWSL College Draft. Kansas City originally traded that third-round pick to Seattle for Liz Bogus. Mathias, 24, played in 44 games over two seasons for FC Kansas City. She typically plays outside back or outside midfielder. I want to thank everyone that was apart of my two years in KC. You all believed in me from the beginning and for that I am forever grateful. 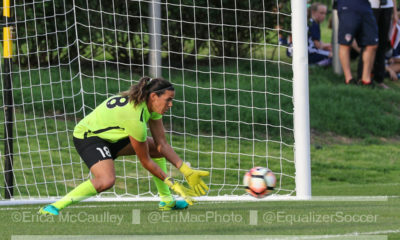 FC Kansas City defeated Seattle, 2-1 in the NWSL final on August 31, which forced Seattle to do “a lot of soul-searching,” Harvey said. The move also gives Deines, who is currently on loan at Turbine Potsdam in the German Bundesliga, the chance to play more. 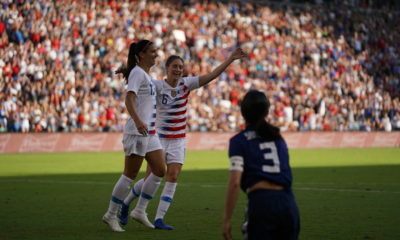 Becky Sauerbrunn will miss time for FC Kansas City to be with the U.S. women’s national team during the World Cup and preparations for it, meaning the Blues will need a solid replacement when their NWSL Defender of the Year is away. 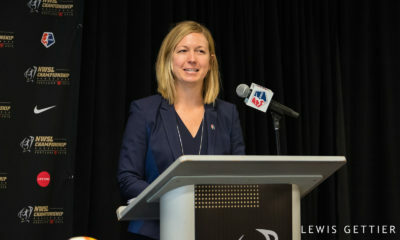 Deines had said she was looking for an opportunity to play more, and Harvey agreed to help make it happen if there were a mutually beneficial scenario available. Deines played in 18 games in 2014, starting nine of them. 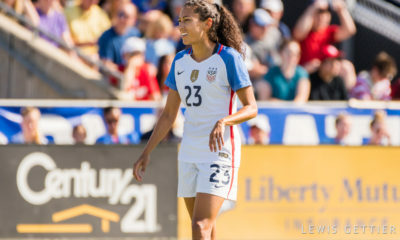 Seattle has immediately filled in the void of defensive depth due to Deines’ departure, signing former University of Portland standout Michelle Cruz. The defender most recently played at Cypriot club Apollon Limassol, where Reign backup goalkeeper Haley Kopmeyer is playing on loan. The Reign have also re-signed defensive midfielder Mariah Nogueira. Acquiring Deines comes at the cost of losing two draft picks in a purportedly stocked class of talent, but Harvey is more interested in a player like Cruz, one year removed from college and now with professional experience under her belt. “We know this draft is strong, but we’ve been saying if we can get a player with a bit more experience, we will,” Harvey said. The Reign still hold a second-round and fourth-round pick. NWSL teams now how have four international roster spots each, up from three in 2014 (which was up from two in 2013). Seattle could be most well-off with internationals, since their stellar midfield duo of Jess Fishlock (Wales) and 2014 NWSL MVP Kim Little (Scotland) won’t be headed to the World Cup. They are signed through the end of 2015 and 2016, respectively. All-league forward Nahomi Kawasumi seems unlikely to return due to the World Cup. Japan also plays in the East Asia Games in August, meaning “Naho” would hardly be available for the Reign. But the World Cup is a challenge all coaches across the league will have to deal with. U.S. players are expected to miss about eight games.